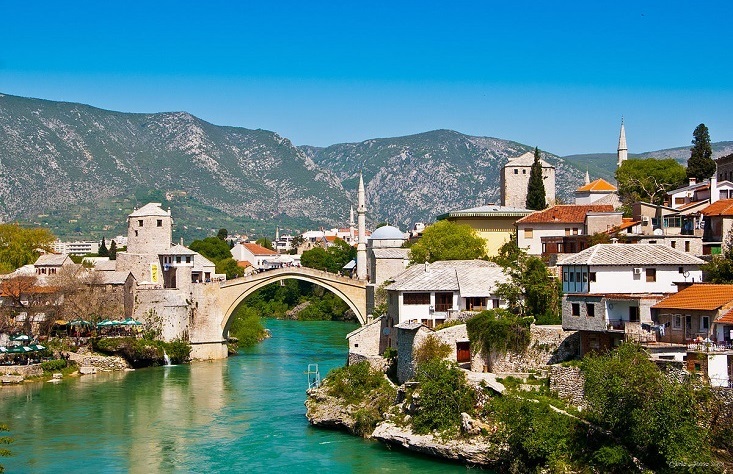 The bridge of Mostar, Bosnia and Herzegovina. Image: GR8KIWI under a CC licence. Politicians in Bosnia and Herzegovina are pushing for a new initiative to find lyrics for the country’s national anthem. The anthem’s tune, written by Bosnian Dusan Sestic, was officially adopted in 1999. Politicians and the public, however, were unable to decide on lyrics which appeased all the country’s ethnic groups. Now a parliamentary committee has passed an new initiative to find words for the song, which is currently known as Intermeso or Interlude. It’s not the first time that officials have led the hunt for rousing lyrics to fit the anthem. In 2009, a new set of words that lauded the country as “the light of the soul” was initially backed by a special committee before being scrapped by parliament amid public outrage. A similar initiative in 2016 was also unsuccessful. Bosnia and Herzegovina isn’t alone in Europe in its lyrical dilema. Both Spain and San Marino also have national anthems with no official words.